We reached out a year or so ago and started looking at confined space. There's a lot of video on rope rescue, a lot of cool high line failure videos you can watch. There wasn't a lot on confined space, we found. We decided, "How do we do a confined space video?" Well, everybody wants to see rigging. And that's how we're going to start it. We're going to start with rigging. But then we kind of went, "Well, the rigging's dictated by the strategy and tactics. Well, the strategy and tactics are dictated by the atmospheric conditions and from the geography in which you're rigging." We ended up basically throwing the script out and starting again, and started with why atmosphere is so bad, and how that affects your decision-making as the team leader, the incident commander, are rescue team leader onsite. 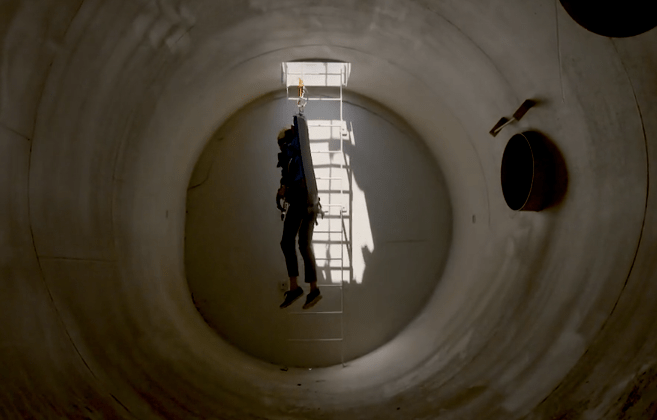 And how that atmosphere and that geography changes your strategies and tactics for confined space rescue in a way that rope rescue just doesn't happen. You can always deviate something here, or push a line over there in rope rescue. It just doesn't happen in confined space. If that's a 24 inch diameter hole, it's a 24 niche diameter hole. If it's an 18 inch diameter hole, it's an 18. And what we do in 24 may not work in 18. That's going to dictate how this gets rigged, which means your toolbox has to be bigger. That's where we backed up to. We started with looking at those hazards, in order to give team leader and those team members that knowledge on why we're rigging the way we are, and why we're going down that path on that rescue scene. And then, that led us into the different types of rigging. The straight mechanical advantage, into using controlled descent inline mechanical advantage, using high artificial high directionals. And then using things like tension line to rig reeves or skate blocks to. And these are all in the essence of saving time. These vessels, a lot of times, it's not like we can change up where we're rigging. When we're on these industrial sites, right of us, or to the left of us, might be some sort of ethyl/methyl death. But we're stuck rigging where we're rigging. We have to be more creative with our rigging in these areas, not just in the high angle environment outside, but how we go inside. Ultimately, this is about the patient, getting them the definitive medical care as fast as we can, as safely as we can, with that balance of safety and speed, and the only way we're going to do the is for people that are watching this; the up and comers, the old-timers, to go through, to push the envelope, and to make us better in the future. Current Schedule Dates for Confined Space Rescue is March 15th. We'll Be Sending Out A Sign Up Page Very Soon... Don't Miss Out On This!